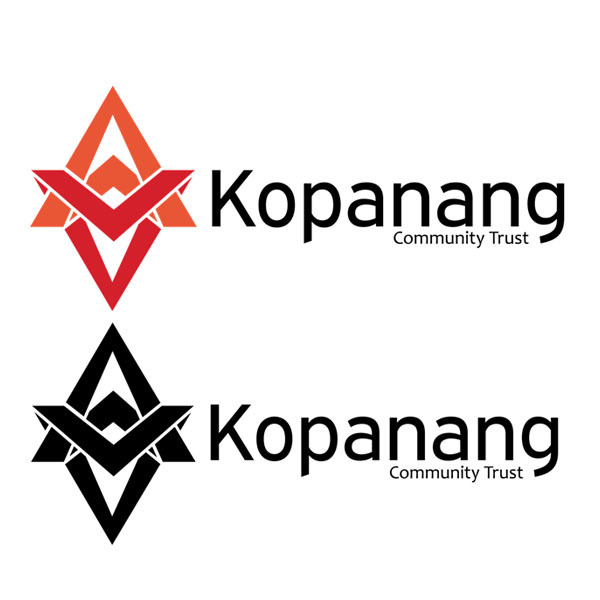 Our main objective was to update Kopanang’s branding as a whole in order to make it more modern and timeless while still keeping the African feel to it. 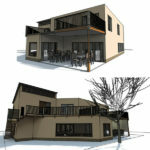 In the designs we did we also needed to make the designs sustainable so that the women would be able to produce the same outputs without our help. 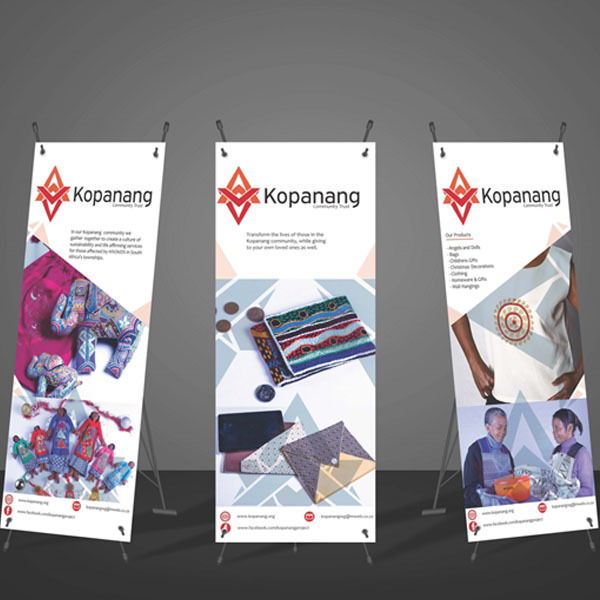 The brochure and banners are both timeless and showcase the best and most popular products from Kopanang. The banners will be reusable for a lengthy period of time as long as they are protected and looked after. 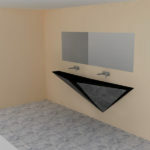 The banners X-bow stand is compact and light and therefore will work for overseas trips as well as local markets. 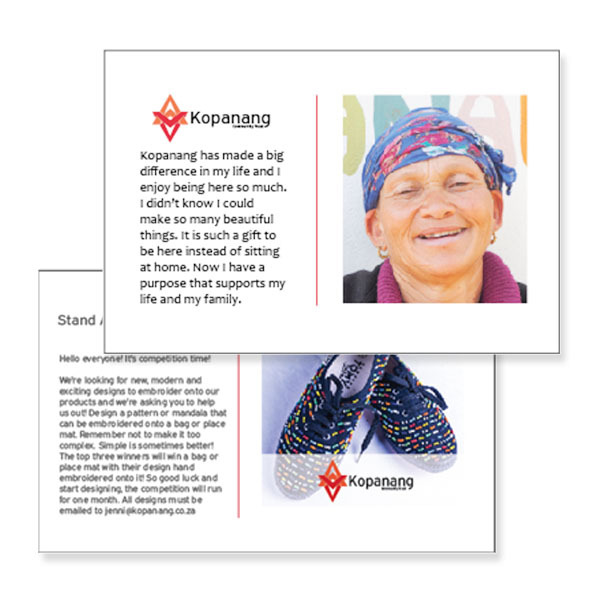 The brochures show off the most important aspects of Kopanang as well as their products, therefore they can be printed as needed without any editing required. 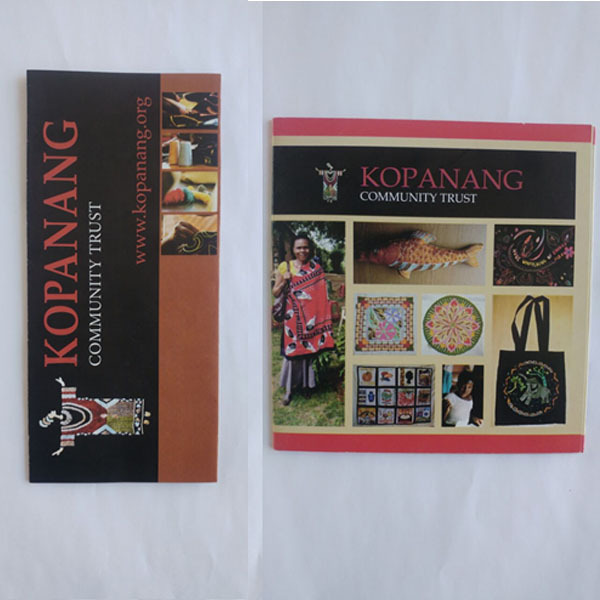 The banner and brochure both contain the new logo which gives the designs as a whole a more professional and modern look. 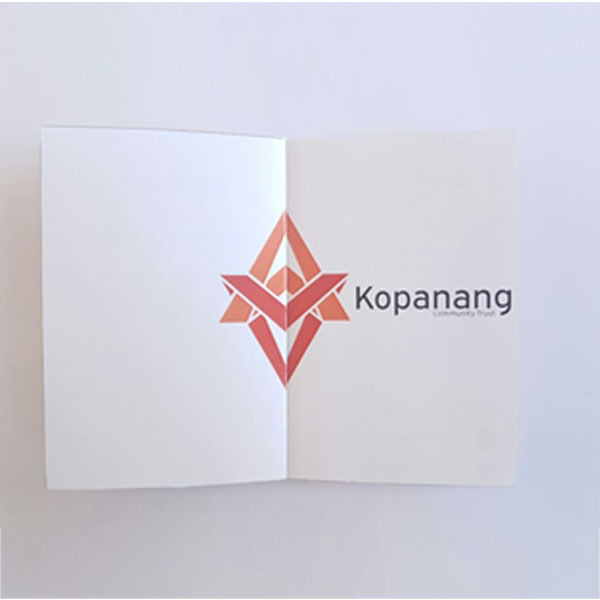 Modernising the brand was an important aspect as it bring Kopanang up to the same level as their competitors as far as branding. 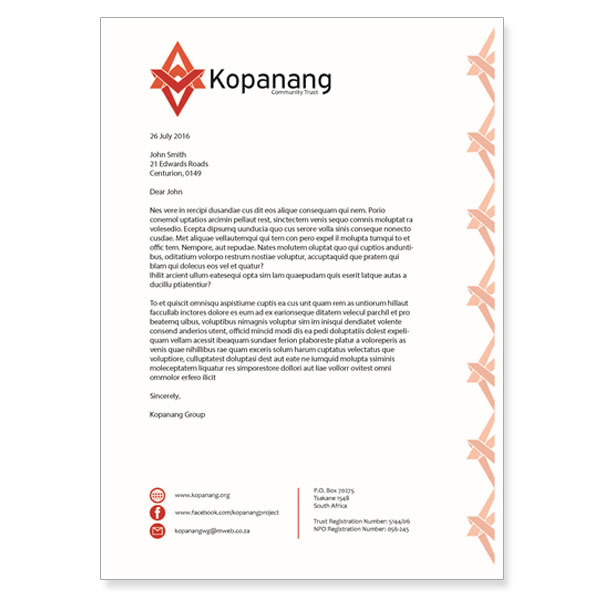 All the designs can be edited easily by the ladies while keeping the professional look that is cohesive with all the other outputs. 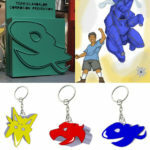 The business cards, labels, letter head and email can all be edited and reprinted as details change. 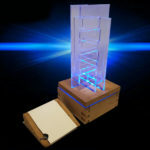 The Facebook competition layout as far as text and product images can be edited as the competition changes and a document will be provided with the details on how to edit and upload the competitions.